Our show today focuses on the animals that we tend to form the closest bonds with. That is, of course, our companion animals. How do they fit into our world, and how can we help improve life for them, and the other animals we share the planet with? What can we do to support the smaller animal companions that, once their “novelty” wears off, are often seen as disposable objects, rather than the sentient beings they are? 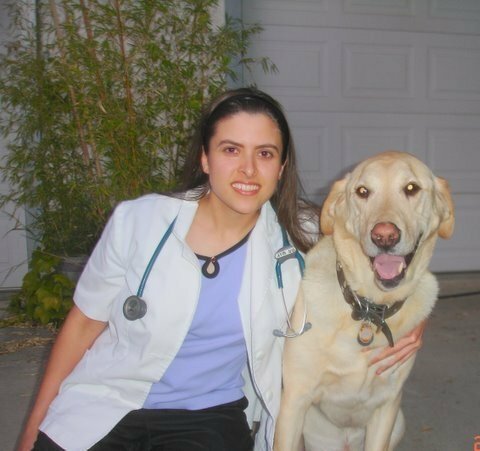 Dr. Armaiti May, DVM, is a dog and cat veterinarian currently practicing in the West Los Angeles area. While an undergraduate student at U.C. Berkeley, she became a vegan and animal activist. An active officer in Cal Vegetarians, a student vegetarian advocacy group, Dr. May helped campaign for improved vegan options in the dorm cafeteria and produced several vegan food giveaways. Dr. May also served as president of the Student Animal Welfare Committee and helped coordinate a surgery “wetlab” training experience for fellow vet students, utilizing ethically sourced cadavers from a willed-body donation program as a humane alternative to the school’s terminal surgeries. She graduated in June 2005, and has been practicing in various environments ever since. Our interview asks her a question which is relavant to both her work and advocacy, and tends to come up frequently in the vegan / animal liberation community. Can, and should, dogs and cats be vegan? Lisa Hutcheon is the Executive Director of the Small Animal Rescue Society of BC. SARS BC is a committed group of volunteers dedicated to the rescue, rehabilitation, and re-homing of homeless or unwanted small animals throughout the province. SARS BC provides a safe haven while promoting responsible pet guardianship through its education, advocacy, and spay/neuter initiatives. We speak with Lisa regarding small animal rescue and the many stories, and issues, related to it.